It’s the city that never sleeps, which means you'll need some sustenance beyond the bewitching hour. For chefs, after midnight is prime time for dinner. Here are five chef-recommended Japanese restaurants that keep the lights on late. This sushi restaurant has long been a late night destination for chefs eating post-shift. They now have two locations. Sit at the sushi bar if you can and order the omakase. "I really like Seki. The fish is really good, it’s open late at night after work, which is when I find I do most of my dining." "This is one of my favorites for sushi." Photo credits: Find. Eat. Drink. Head up a narrow flight of stairs to get to this bustling yakitori bar. Be prepared to wait for a table, no matter how late you arrive. The menu reads like a tour of the inside of a chicken - heart, liver, gizzard, knee bone, neck, skin, and tail. Drink your grilled nibbles with a cold Ebisu beer or glass of shochu. "I love the fact that as soon as you open the door and climb the staircase, you end up in Tokyo. You’re totally in another world, like another planet. I eat everything and I really love the chicken cartilage. I like to sit at the counter and watch the guys." "I love Yakitori Totto for beef tongue, chicken cartilage and a view of the super hip Japanese cooks. Come for the food, leave with a T-shirt." "My late night cravings lead me straight to Yakitori Totto." Located on the second floor, this is a busy and brightly-lit Japanese homestyle restaurant. It’s also the entrance to the speakeasy Angel’s Share. "Because pork kimchee with a cold Asahi is heavenly." "It’s bar food, an izakaya, and it’s open until 4 am. I started coming here after work when I was a sous chef at Morimoto. I would bring all the line cooks here and and we would just order the entire f-ing menu and pitchers of beer. Whole bill for about seven people would be $200 and we’d been eating our faces off. I like to get the skewered yakitori chicken skin, chicken meatballs, these weird little Berkshire sausages and I always get the Ika Yaki (grilled squid)." "I like coming here for their great barbecue Japanese-style yakitori. All of the dishes are small appetizers, which the Japanese call otsumami. They have Japanese beers on tap and sochu. For sochu, I like drinking the Kome (rice), mugi (barley), or Imo (sweet potato)." Bohemian is hidden behind a Japanese butcher shop | Photo Credit: Find. Eat. Drink. You have to look hard to find this stylish izakaya. They have an unlisted phone number, no sign out front and it's hidden behind a Japanese butcher shop on a side street in Noho. "This is a beautiful space to drink sake and shochu." 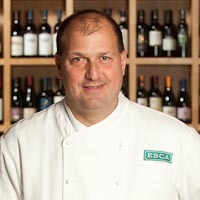 Executive chef and partner at Esca and Barchetta in New York. Executive chef and owner of annisa in New York. Executive and co-owner of Le Bernardin in New York. 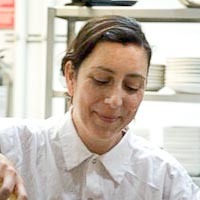 Executive chef and co-owner of El Quinto Pino, Txikito, La Vara in New York. Executive chef and partner of Gramercy Tavern in New York. Executive chef and co-owner of Joe & Misses Doe in New York. Executive chef and partner of Talde, Pork Slope in New York. Executive chef of Takahachi in New York. Executive chef of Kyo Ya in New York.